Glial and neuronal cell signaling and neural stem cell differentiation with an emphasis to discover therapeutic strategies and drugs against neuroinflammatory and neurodegenerative disorders, such as multiple sclerosis, Alzheimer's disease, Parkinson's disease, Batten disease, and HIV-associated neurocognitive disorders. 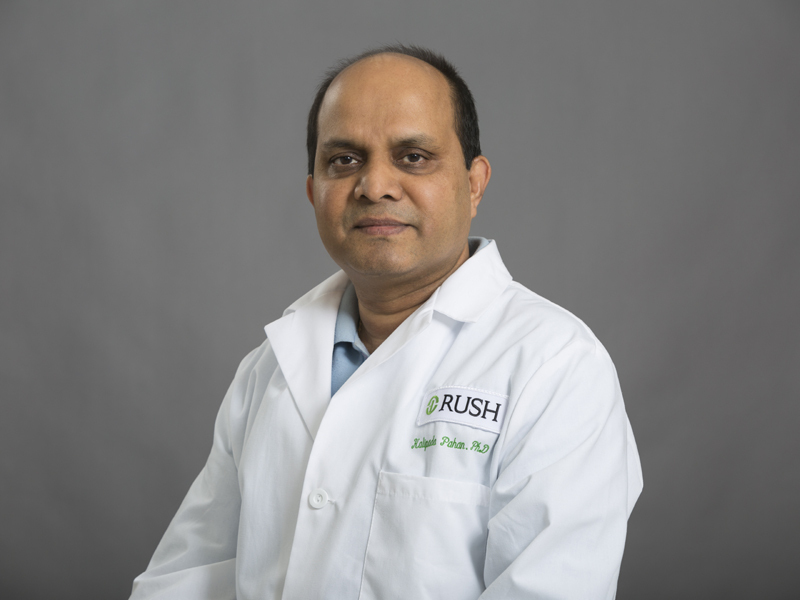 Kalipada Pahan, PhD, is a professor of neurological sciences, biochemistry and pharmacology and the Floyd A. Davis, MD, Endowed Chair in Neurology at the Rush University Medical Center in Chicago. He is also a VA scientist at the Jesse Brown VA Medical Center in Chicago. Born in West Bengal, India, in 1964, he received his MSc (1987) and PhD (1992) degrees in biochemistry from the University of Calcutta and pursued postdoctoral training in biochemistry, cell biology and neuroimmunology at the Medical University of South Carolina in Charleston. Currently, he is engaged in translational biomedical research involving Parkinson's disease, dementia, Alzheimer's disease, multiple sclerosis and Batten disease. Over the years, the lab has identified a number of drugs as possible therapeutics for these neurodegenerative diseases. Furthermore, the Pahan lab has also discovered many fundamental processes of neuroimmunology, such as the regulation of life and death of brain cells by nitric oxide, the physical interaction of immune cells with brain cells, and the switching of toxic brain cells into protective ones.